I must admit to being largely underwhelmed by the majority of this year's Oscar nominees. That's not to say I think 2014 was a bad year for movies, simply that the Academy's choices don't accurately reflect some of the stunning cinematic achievements of the last 365 days. This is hardly a new phenomenon and it's the reason I gave up really caring about award shows long ago. This year's crop of nominees are particularly egregious in that they're movies that are not actually about anything other than trying to win awards. That's why the snubbing of Selma feels all the more frustrating. Not only is it a timely story which speaks directly to the events of the day, but it is also a breathtaking dramatic and artistic achievement. The Imitation Game and The Theory Of Everything are decent, surface level films which totally vacate your consciousness immediately upon exiting the theater. They have all the intellectual trappings of "important movies" but with subtext that is trite at best and non-existent at worst. 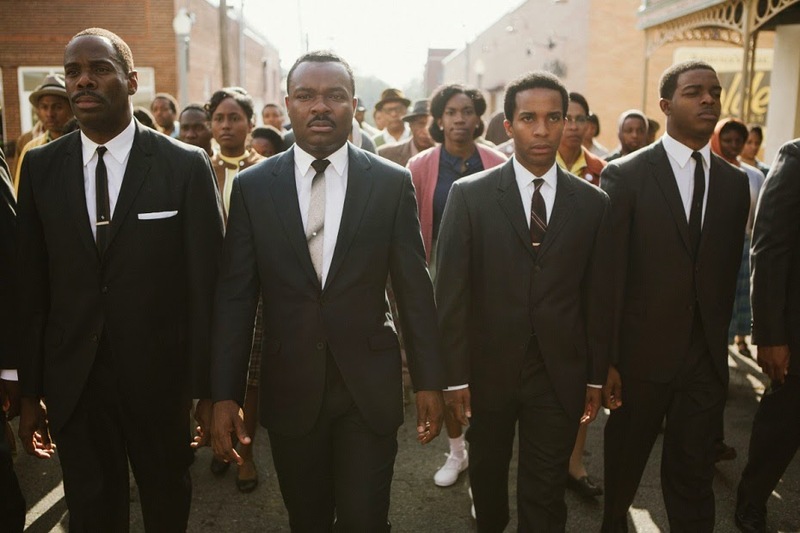 Selma is transformative. It hits the audience like a ton of bricks, seizing their attention from the very beginning with the most artful depiction of an explosion I've ever witnessed and then refusing to let go until the credits finally roll. Selma is emotionally exhausting in the best possible way, a film that demands to be seen and that will challenge and haunt you long after it's over. Bart and I team up with our better halves Jenna and Jamie to talk about Ava Duvernay's remarkable film as well as how it relates to the current crop of protests taking place all over the country and the stupefying neglect paid to it by Academy voters. We also chat about a weird series of trailers we saw in which Kevin Costner attempts to single-handedly solve racism. Next Week: Inherent Vice. For real this time.